*Sorry about the Pinterest pic! 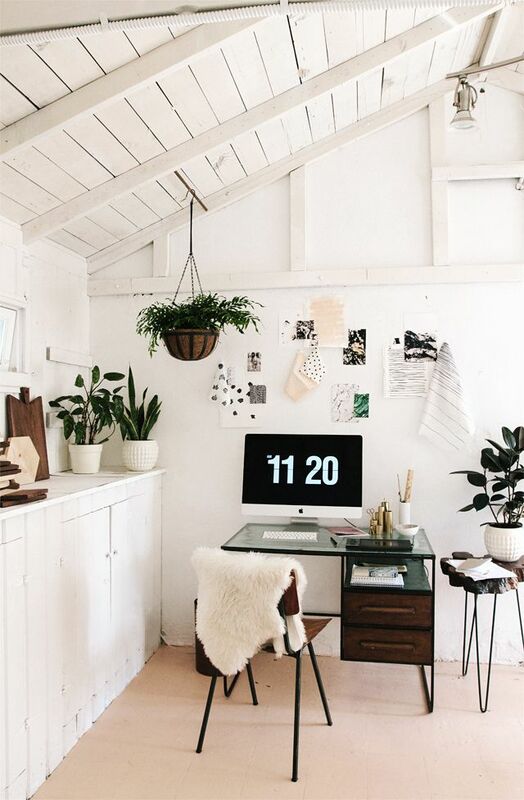 This was a spur of the moment post, though that is the most perfect blogging space! Yayy for the weekend etc. I’ve been meaning to write this post for a while, as I think it coincides with my blogging tips quite nicely (I’ll link to any related posts throughout this one). Blogging has really taken off in the past two years or so and I thought it’d be fun to jot down 10 truths that I found about blogging, which may help some new bloggers (or not, who knows?). One: You’ll Spend A While With Very Few Page Views | When I first started, I was lucky if I got 10 page views a day. It was only when I properly concentrated on my blog that they started going up, but it took a lot of hard work! Don’t be surprised if you spend a while with only a few views, it’s perfectly normal and nothing to worry about. Two: You Might Not Get Any Followers Straight Away | I must have blogged (not seriously and very sporadically) for about a year with one follower. Yup, one. When they followed me, I was actually really confused as I had no idea what followers really were. So, what I’m trying to say is, don’t be disheartened if your follower count doesn’t go up every day. Just keep working at your blog and readers will most certainly come. Three Your Blog Probably Won’t Be Perfect Straight Away | There’s very few bloggers who’s blogs look 100% perfect from day one. I find it’s all about improvement and working to create your version of a perfect blog over time that matters. My blog used to be atrocious in every way (seriously) but I’m actually really proud of how far it’s come along, which is something better than being worried it’s not exactly how you want it from the beginning. Four: Writers Block Happens | We all get it, some days we’ll be full of ideas and sometimes we’ll be completely lacking in any form of creativity. It happens and it’s ok. You probably don’t need to blog right now and your readers will wait for a well thought out post, rather than one you’ve thrown up in two seconds. You can get inspiration from lots of places when you look for it, which I mentioned in tip three here and here. Five: You’ll Get Stressed Out | There’s some days I completely panic about my blog and have a mini-breakdown where I feel like I’ve got no time… Until I remember not to take everything so seriously and to enjoy my blog, rather than have it take over my life. I do spend a good 30+ hours on it every week, but it’s nice to take a step back and remember it’s not my job (even though it sort of kinda is) and that if I don’t get a post written at the time I want, it’s ok.
Six: Don’t Worry If You Haven’t Worked With Any Brands Yet | Working with brands and PR’s is a lovely part of blogging, as some are wonderful and the opportunities some bloggers have are amazing. Buuut, it’s not the be all and end all of blogging. If you haven’t worked with a brand yet, don’t worry, it doesn’t mean you’re a crap blogger (as some seem to think it does!). Concentrate on improving and working on your blog and if brands want to work with your awesome blog, they will. Don’t chalk it up as a benchmark for success (as discussed in this post, tip two). Seven: Work On Your Pictures | As I said before, my blog used to be so bad. My first camera was awful and I used to take outfit snaps in the mirror. Sigh. I was so proud at the time though, haha. Anyway, one thing that is always mentioned in blogger chats is how people really dislike small and dark photos, as you can’t see products properly (which, if you’re a beauty blogger, should be the focus). So, if you can, take your pics in natural light and don’t make them too small. There’s lots of HTML/Photoshop etc tutorials online if you’re stuck on how to make them the right size too. Eight: You’ll Have Lots of Support | The blogging community is a wonderful place filled with wonderfully supportive people. If you want to know something, ask. If you want an opinion or advice, ask. If you just want to chat, then chat away (see this post (point three) for a list of when the blogger chats are on). I adore the community, as I’ve made friends through it and I talk to fellow bloggers online more than my real life friends (really). There’s always negativity and you can filter that stuff out, but as a whole, bloggers are a bloomin’ lovely bunch. Nine: The Love/Hate Phase is a Thing | Although this point is similar to getting stressed out, you’ll probably go through the ‘I hate my blog, it’s rubbish and I want to quit’ to ‘I adore blogging, I wish I could do this full time’ phases. I go through them quite a lot and, through following fellow bloggers on twitter, I can see a lot of you do too. You’ll probably detest your pictures, hate your writing and want to alter your blog design on a regular basis, but take a breather and appreciate what you’ve done so far. It’ll help you get back to the ‘love’ phase, where you can think about improvements rationally! Ten: You’ll Realise It Takes So Much More Work Than You Thought | Blogging is hard. Blogging successfully is even harder, but it depends what you want from it. It takes work, determination and hours of dedication. As said before, you won’t get a million followers overnight, you won’t get brands flooding your inbox with amazing opportunities and you won’t get record page views just because you have the title of ‘blogger’. The blogging market is becoming quite over-saturated, but there is room in here for all of us. Just work work work and you’ll be fine, it just takes time. So, they’re all the things I found through blogging from when I first started until now. If you have any little truths you discovered, do let me know as I’d love to hear them! Make sure you enter my £300 Rayban and beauty giveaway too! Click here.